Lots of injections today. Thank you Mariah. We sympathized with each other about the recent Austin weather. Talked about the joys of turning to Phenergen when there’s nothing else. She injected Serapin all over the back of my head, neck, shoulders, temples, head, jaw. The lido makes my head feel like jelly, the skin is numb to touch, but there’s a migraine brewing in there deep in the right side, behind the eye… Deep. 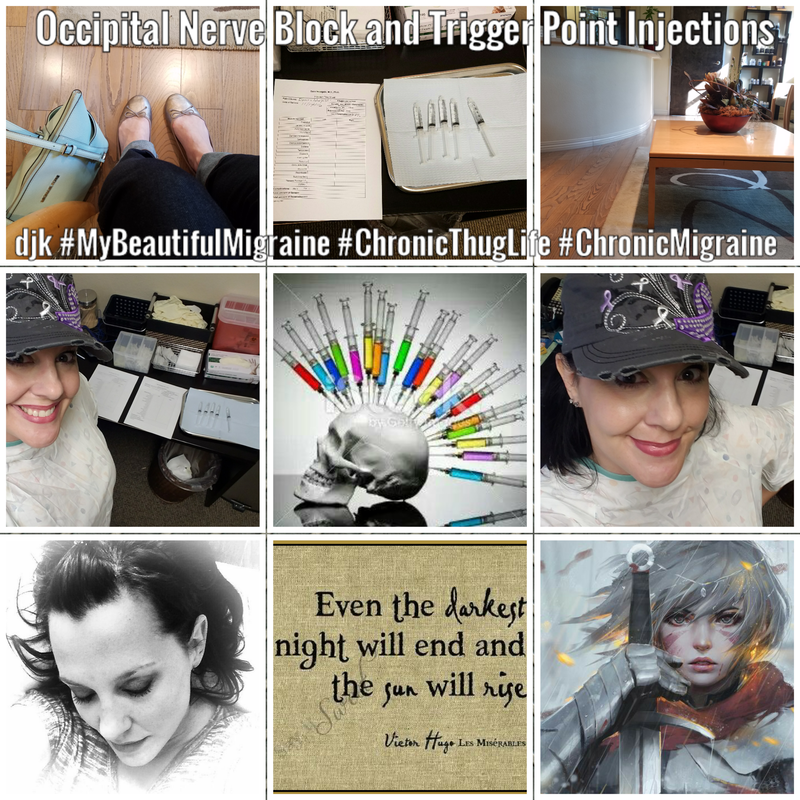 When she injects the occipital nerves, it’s the weirdest sensation: I can feel the cold solution making its way up my occipital nerve in the back of my head to the top. We talked about the election. We talked about family. She suggested in everything, reflect back Love. I will strive for that. But I will protect myself too.